I just wanted to use this post to reflect on my uncle John Buchan who passed away on the 25th or June 2013. I have very fold memories of him going right back to my childhood when I recall him taking me to the swimming pool in Aberdeen – which was in those days a real treat. Going back in time to the early 60’s he was involved in the Faith Mission and I recall him being doing various summer missions and also spending some time on location at schools where he provided some inputs over a period of time. In those days he lived in a caravan which I think was owned by the Faith Mission. After a few years he went to University and was ordained as a minister in the Church of Scotland . He was appointed to a church in Glasgow for a number of years and then move north to take up the charge as the minister at Strathpeffer Church of Scotland. 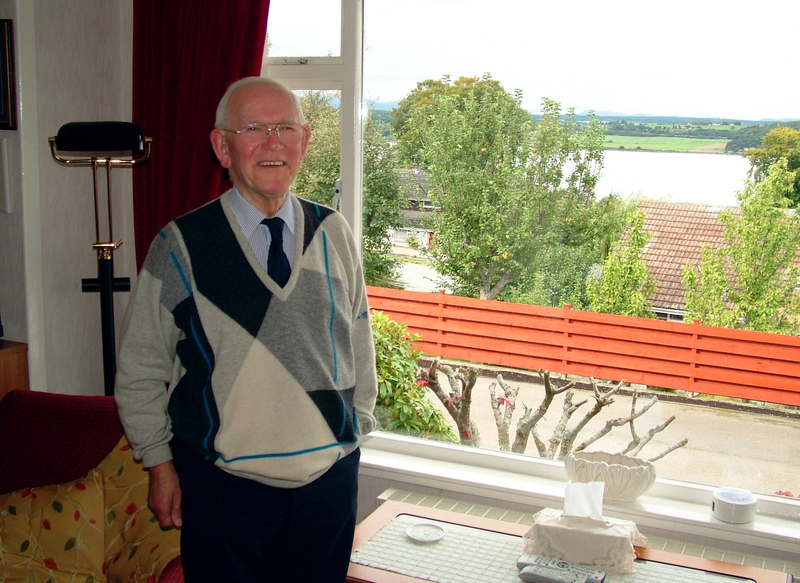 Even after he retired from his full time as a minister he continued to do various temporary appointments in the Western Isles and in the Inverness area. There is no doubt in my mind that my uncle had a living faith and he certainly demonstrated this through out his life in the context of his early work with the Faith Mission and the with the Church of Scotland. I know that he testified to his faith in God and preached the Gospel of Jesus Christ faithfully. During most of his minstry, years I don’t recall seeing him very often but I was able to visit and stay with him when I was visiting Dingwall on business trip once (in the mid 1990’s). At that time his wife Rita ran a bed and breakfast so I booked in there and arrived unexpectedly – it was a kind of reunion, as we had not met for a number of years. I remember how nice it was to catch-up on the news from the intervening years. When my own dad passed away I remember finding in his possessions some news paper cuttings of some P&J Saturday Sermons. The Reverend John Buchan (my dad’s brother) was the author of those and my dad had purposefully kept them. My Uncle continued to write the P&J Saturday Sermon over a long number of years taking his place in a rota every 4/5 weeks. He did this faithfully up till a few weeks before his death – he must have been very dedicated to this task as latterly he had become very frail and was afflicted with various ailments – but he continued this work – it was I think and expression of his faith.